When the weather starts to get wild and take houses and businesses by surprise with pipe bursts, water heater failures, or any other form of loss, the people rely on Mike Porco and his water damage Kawartha Lakes team with 911 Restoration Durham Region to get the job done right and quickly too. Mike and his water damage Kawartha Lakes specialists know that the best way to reduce the lingering effects of a pipe burst or other water intrusion is to be at the scene of the challenge quickly and with all of the proper tools for the job. 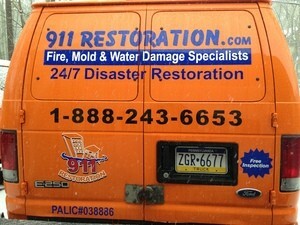 In addition to being at the scene of a water damage event rapidly, Mike and his crew are also available to take on projects with technicians who are available 24/7/365 so that no matter when a pipe burst occurs or a water heater failure rusts through, he can be there to eliminate the damages and the stress in the property owner that these situations can cause. Don’t let your home become a victim of a pipe burst, water heater failure, or any other kind of liquid invasion. Contact Mike and the water damage Kawartha Lakes team take on all of the challenges for you today! When it comes to quality work and services to eliminate the effects of a water damage event, there is no one more adept for the task than Mike or his water damage Kawartha Lakes crew, but they are also highly prized for their ability to help people avoid such situations too. Make sure to never let the temperature in your home dip too low. If the ambient air drops into the freezing digits, then you run the risk of having a pipe burst situation occur. Avoiding this simply means keeping the heat up in the home, or insulating some pipes. Check the trees around your property to determine if there are any dead branches or limbs that might come down and hit your home when under the pressure of high winds or snowfall. These can impale a roof and create massive amounts of water damage in the process. Take a moment now and again to determine the viability of the hoses and fittings on your appliances that are connected to the water line. These can deteriorate over time and rupture when you least expect it. These are easy and cheap to replace and doing so can save you from mass water damage situations. Direct the discharge from your downspouts away from your home or business so that the foundation doesn’t get flooded in heavy rain. 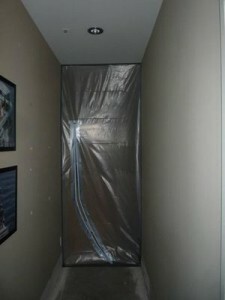 This can be a huge source of water damage, and redirecting the outflow is easy and cheap to take on alone. If your home or business is in jeopardy of a water invasion from a pipe burst or rusty water heater failure, then don’t wait until it’s too late. Contact Mike and the water damage Kawartha Lakes team with 911 Restoration Durham Region for assistance with all of your home restoration projects today! Mike and his water damage Kawartha Lakes experts with 911 Restoration Durham Region have the training, skills, expertise and know-how to solve any challenge restoration related challenge that they encounter, and that is why they knew just what to do when called out to a recent sump pump failure water damaged basement job. “When we got the call, it was the morning of a heavy rain, and when the homeowner said that their finished basement had a five inch standing water problem, we knew that it must be a sump pump failure that caused it,” Mike says. That’s when Mike and his water damage Kawartha Lakes team hopped to action and went immediately over to the property to start doing water extractions from the property. Mike and the water damage Kawartha Lakes specialists deftly eliminated all of the soaked drywall and other water logged building materials, and then began to completely restore the finished basement to its original glory. When Mike and the water damage Kawartha Lakes team were done with the job, the homeowner felt that the space was even better than before all of the initial damages happened. Don’t let a sump pump failure, or pipe burst scenario ruin your finished basement. Contact Mike and the water damage Kawartha Lakes experts with 911 Restoration Durham Region for all of your home restoration needs today!